Presentation of Internews Georgia’s new project at Courtyard Marriott will be held on January 24 at 13:00. The project is being implemented with the EU and NATO Information Center and is funded by the US Government. 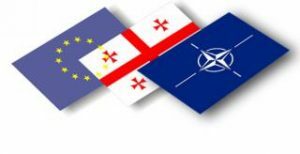 Within the framework of the project, 20 regional media outlets selected through competition will receive a small grant – in preparation of journalistic materials on European and Euro-Atlantic integration of Georgia, EU and NATO, taking account of local interests and issues.